How people work, communicate, collaborate, and manage responsibilities has changed. Knowing how to build influence and lead others without title or authority, no matter what your role, is now a workplace necessity. No one needs to appoint you, promote you, or nominate you. You decide. It's not rank that will get you results; its the actions. 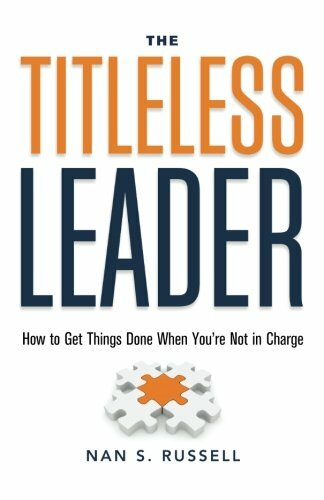 In The Titleless Leader, you will discover uncommon behaviors that will enable you to: *Operate with trust in an era of distrust and growing cynicism *Activate your titleless leadership practice by using "what-does-it-look-like?" approaches and "how-does-it happen?" tips, exercises, and insights *Engage yourself and others using the cornerstones of self-alignment, soul-courage, possibility seeds, and winning philosophies Using the revolutionary tactics laid out in The Titleless Leader, you'll turbocharge your career and discover how to get things done...even without a title.